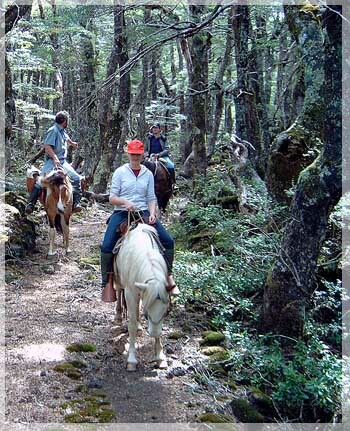 As well for beginners as for experienced riders it is a pleasure to follow the trails in and around the reserve on horseback. 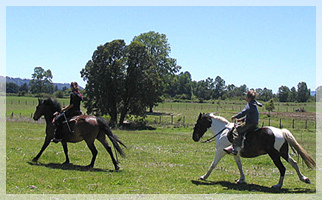 Our horses are well trained and balanced and respond to riders of all levels. 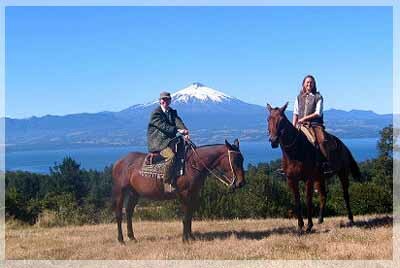 For longer trips and special horse tours in National Parks and private native forests we tested and chose the best riding offers of the region for you. For our selection we took special emphasis on the treatment of the horses, unique landscapes and the maintenance of the tack. 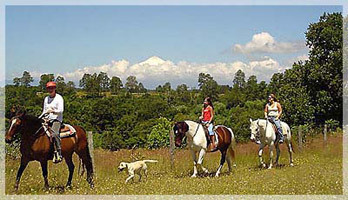 Hans Bacher will receive you on his 300 hr ranch the "Bacher Alm" besides Villarrica National Park. 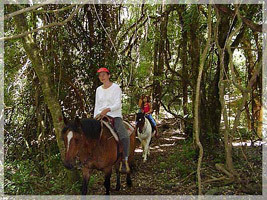 His horses are used to tricky mountain paths and will take you safely through the park. 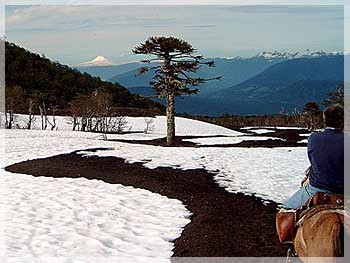 Discover thousand year old native forests, see typical "Monkey Puzzle Trees", cross lava flows and enjoy amazing views over mountains, volcanoes and lakes. This tour is apted as well for non-riders and beginners. In a typical fundo of the region the owners family for generations preserved a big natural forest like it was when the first Europeans came to Chiles South. 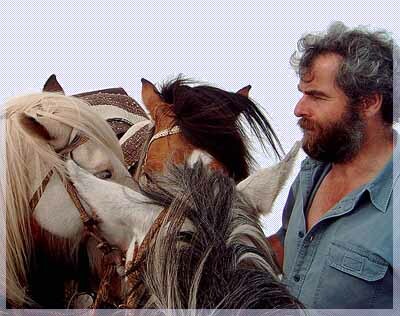 Unique and impressing is the environment that you cross on thoroughbred polo horses from the families stud. 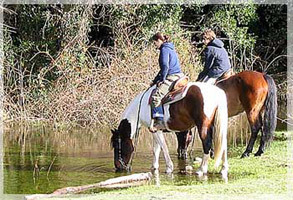 You should have some riding experience to really enjoy this trip.